Street Address 1800 Mormon Mill Dr.
Ascension Seton Marble Falls, located approximately 40 miles northwest of Austin, opened to better serve the fast-growing Hill Country area. Offering primary and preventive health care, as well as social services, the health care center is conveniently located for residents of Marble Falls, Kingsland, Granite Shoals and the surrounding area. 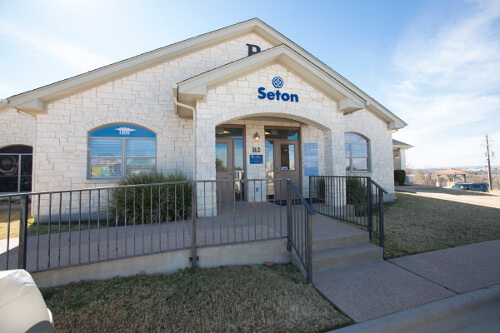 Patients who need acute or emergency care can be accommodated at Ascension Seton Highland Lakes Hospital, just 13 miles north in Burnet at one of the Ascension Seton Healthcare Family.